The historical analyses of Thomas McKeown regarding global population growth from 1700 to the present stirred controversy, and its influence remains. The historical analyses of Thomas McKeown attributed the modern rise in the world population from the 1700s to the present to broad economic and social changes rather than to targeted public health or medical interventions. His work generated considerable controversy in the 1970s and 1980s, and it continues to stimulate support, criticism, and commentary to the present day, in spite of his conclusions’ having been largely discredited by subsequent research. 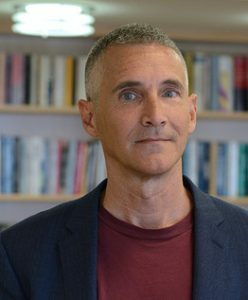 The ongoing resonance of his work is due primarily to the importance of the question that underlay it: Are public health ends better served by targeted interventions or by broad-based efforts to redistribute the social, political, and economic resources that determine the health of populations? In a body of research published from the 1950s to the 1980s, the physician and demographic historian Thomas McKeown put forth the view that the growth in population in the industrialized world from the late 1700s to the present was due not to life-saving advancements in the field of medicine or public health, but instead to improvements in overall standards of living, especially diet and nutritional status, resulting from better economic conditions. His historical analysis called into question the effectiveness of some of the most basic and widely applied techniques in the public health armamentarium, including sanitary reforms, vaccination, and quarantine. The “McKeown thesis” sparked the inquiries and shaped the research hypotheses of many scholars and became the subject of an extended controversy. McKeown’s work may be seen in the context of the debate over the relationship between food supply, economic development, and population growth that has engaged the natural and social sciences since the days of Thomas Malthus. McKeown’s research also came to play a prominent role in the debate that emerged in the United States and Great Britain following World War II, and that intensified in the 1970s, over the appropriate focus and allocation of medical resources. Sophisticated analyses in the field of historical demography effectively overturned the McKeown thesis in the early 1980s. Yet it has shown remarkable staying power, continuing to draw support and commentary throughout the 1990s. The purpose of this article is to examine the controversy over Thomas McKeown’s work and its ongoing influence on public health research and policy. Even though its empirical foundation and conclusions are now considered flawed, the questions at the heart of the McKeown thesis—What are the most important determinants of a society’s patterns of morbidity and mortality? and How should public health practitioners most effectively focus their efforts?—remain as relevant today as when they were first proposed. 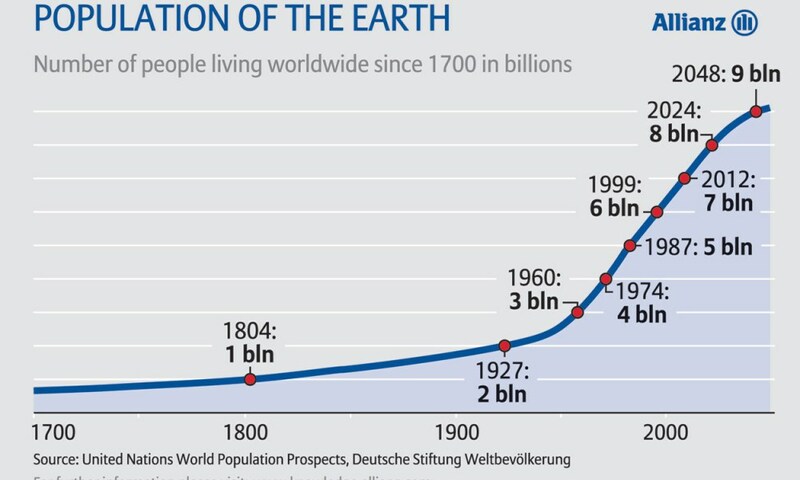 The McKeown thesis attempted to construct a unifying theoretical explanation for the so-called demographic transition, the dramatic growth in the population of the industrialized world from around 1770 to the present. The thesis can be summarized as follows: Population growth was due primarily to a decline in mortality from infectious disease. This decline was driven by improved economic conditions that attended the Industrial Revolution, which provided the basis for rising standards of living and, most important, enhanced nutritional status that bolstered resistance to disease. 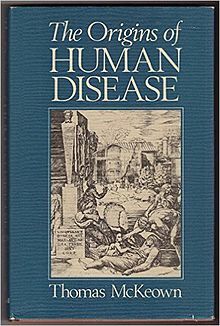 Other variables that may have been operating concurrently—the development of curative medical interventions, institution of sanitary reforms and other public health measures, and a decline in the virulence of infectious organisms—played at most a marginal role in population change. 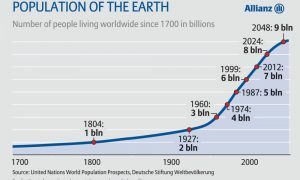 Put another way, the rise in population was due less to human agency in the form of health-enhancing measures than to largely invisible economic forces that changed broad social conditions. McKeown came to demographic studies by way of an interest in the historical role of medicine. He had a strong interest in the ways that social factors such as class, income level, and living environment influence health and a passionate belief that the medical profession should move beyond a strict biological paradigm to address these factors. At the time McKeown began investigating past trends in population change, historical demography was a relatively new discipline. McKeown advanced the core tenets of his thesis in 4 seminal articles published between 1955 and 1972 in the journal Population Studies. 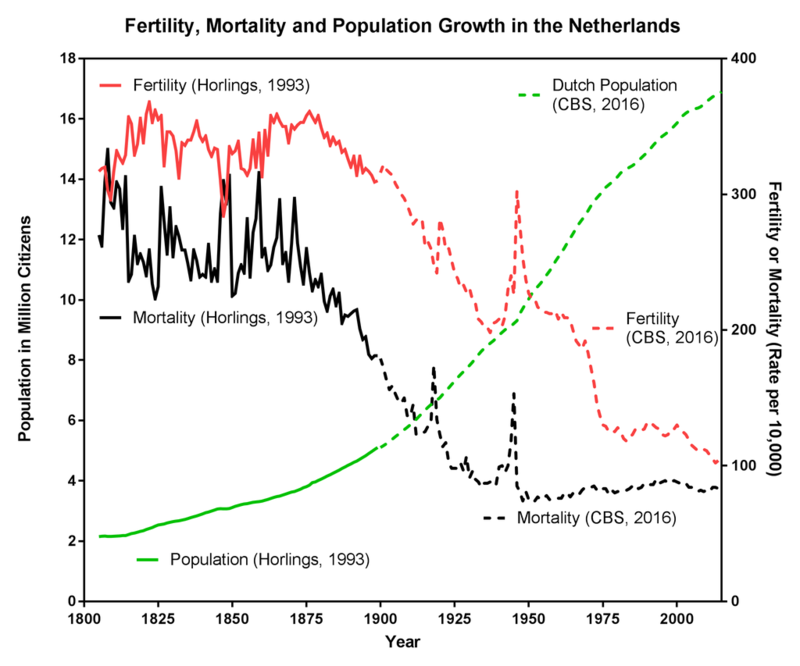 [2-5] Each treated various aspects of the demographic transition, weighing the relative effects of various potential contributors to the decline in mortality. Medical treatments were ruled out, because most were introduced long after a downward mortality trend had already begun. Public health advances, McKeown determined, played only a small role, because they influenced water-borne illnesses such as cholera, which were responsible for just a small portion of the mortality decline, but not airborne ones such as tuberculosis, which made up the majority. Declining virulence of infectious agents was rejected as biologically implausible. In a 1962 article, McKeown concluded that “the rise of population was due primarily to the decline of mortality and the most important reason for the decline was an improvement in economic and social conditions.”(p121) Among these conditions, the most significant was improved diet. In 1976, McKeown published 2 books that summarized and synthesized the arguments he had advanced during the previous 20 years. In The Modern Rise of Population, McKeown once again put forth his view about the primary role of social melioration, led by nutrition, in population growth. The structure of his argument unfolded in successive chapters as he discussed the potential alternative causes for the rise in population. The book was mostly derived from his Population Studies articles and contained little new material. Published the same year, The Role of Medicine: Dream, Mirage, or Nemesis? was McKeown’s most explicitly polemical use of historical data. The book contained a further recapitulation of his now-familiar arguments about the relative contributions of medicine and economic progress to the health of society. It was less a research monograph, however, than a philosophical treatise on the nature of well-being and illness and what he saw as the appropriate role of medical providers. Medicine, McKeown stated, placed far too much emphasis on “cure” and not enough on “care,” in part because of a misunderstanding of history: “[M]isinterpretation of the major influences, particularly personal medical care, on past and future improvements in health has led to misuse of resources and distortion of the role of medicine.”(pxiv) He concluded with a plea for a more humanistic, less technocratic role for the medical profession. 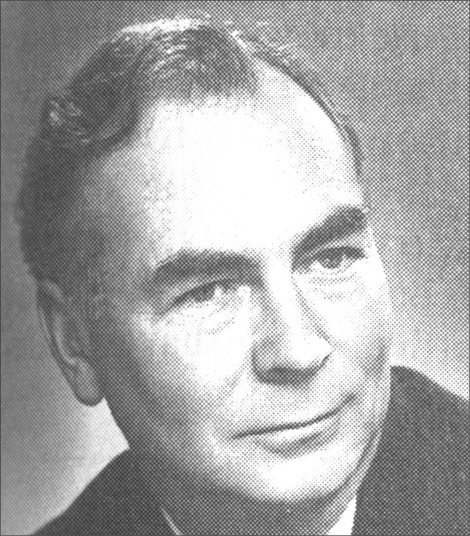 Elements of the McKeown thesis came under scrutiny in the 1960s and the early 1970s, mostly in academic journals of demographic or economic history. Various historians took issue with McKeown’s summary dismissal of the importance of medical intervention and made the case for the importance of, among other measures, smallpox inoculation and the development of hospitals. [8-10] Nevertheless, the thesis could hardly be described as controversial around that time, either in terms of its influence on other scholars or the criticism it attracted. It was during the late 1970s and the 1980s, following the publication of The Modern Rise of Population and The Role of Medicine, that the McKeown thesis stimulated a highly visible and often contentious debate, focusing primarily on the contribution of medicine to society’s well-being, which spread from the world of demographic and economic history to the realm of medicine and public health. The impact of the 2 works was significant, with many articles of the time describing them as establishing a “new orthodoxy” in historical interpretation. Since neither work contained substantially new material, it is somewhat surprising that the thesis achieved such sudden prominence. Part of the reason is simply that McKeown’s opus had much greater impact once it was collected between the covers of 2 books and reached a wider audience than the readership of a specialized academic journal. Part of the answer also lies in the social and political climate of the late 1970s, a time of tension and transition in the field of medicine in which McKeown’s diminution of the role of curative technologies struck an especially resonant chord. McKeown’s 2 books were frequently cited alongside these works as part of the same social critique. Although the subtitle of The Role of Medicine: Dream, Mirage, or Nemesis? was an explicit reference to Medical Nemesis, McKeown distanced himself from Illich’s ideology; in the introduction to The Role of Medicine, he wrote that it had little in common with Medical Nemesis “except perhaps in the sense that the Bible and the Koran could be said to be identified by the fact that both are concerned with religious matters.” Yet both men shared the view that the increasing emphasis in the second half of the 20th century on hightechnology, curative medical efforts was a misguided diversion of resources away from more environmentally focused health programs. Many like-minded commentators saw McKeown’s interpretation of the past as an object lesson about the failings of the present and a guideline for the future. McKeown’s critique of the medical establishment also dovetailed with a newly prominent discourse that was emerging in the United States, Canada, and Great Britain that emphasized the role of individual responsibility for health. In 1974, the Canadian health minister, Marc Lalonde, issued an influential report in which he called for citizens to examine their behavioral and lifestyle choices as the root of illness in society. In an essay in the journal Daedalus, John Knowles, a physician and president of the Rockefeller Foundation, laid the blame for an unhealthy society on the personal habits of individuals and argued that people should stop looking to organized medicine or the government for improvements in health. Both documents, which received wide attention in the popular and academic press, cited McKeown’s work—selectively—to buttress claims that government-supported medical services had but a limited role in health. This environment helps explain the prominence that the McKeown thesis achieved. The Role of Medicine alone was cited in more than 130 articles in the decade following its release, primarily in journals of medicine, public health, and health services administration. At least 2 journals, the Milbank Memorial Fund Quarterly and the Journal of Interdisciplinary History, devoted special issues responding to McKeown’s claims. While many scholars found McKeown’s ideas persuasive, others took a more skeptical stance, and from his book’s publication in the mid-1970s through the end of the 1980s, the 2 volumes were the targets of often scathing criticism focusing on both the substance of his conclusions and the methods by which he reached them. Several distinct though related elements of the thesis were targets of attack: the propositions that the growth of population was due to a decline in mortality rather than a rise in the birth rate, that active human intervention in the form of medical and public health measures had little to do with the fall in the death rate, and that increasing food supplies led to enhanced nutritional status at the population level. The methodological shortcomings for which McKeown was condemned included vaguely and imprecisely defining and categorizing the historical phenomena he was analyzing (such as “medical measures,” “standards of living,” and “food distribution”), failing to subject a hypothesis to rigorous analysis for plausibility, allowing ideological biases to color interpretation of data, and selectively overlooking other relevant scholarship. The research of the Cambridge Group culminated in the publication in 1981 of The Population History of England 1541–1871 by E. A. Wrigley and Roger Schofield, which represented perhaps the most significant challenge yet to the credibility of the McKeown thesis. Applying a variety of sophisticated new statistical and analytic techniques to the parish registers to overcome problems of accuracy and interpretation, Wrigley and Schofield produced a comprehensive and authoritative volume that conclusively demonstrated the invalidity of a central feature of McKeown’s reasoning—that the growth in population was due to a decline in mortality, not a rise in fertility. Indeed, the book treated the McKeown thesis dismissively, consigning it to mentions in a few footnotes. Probably the most detailed and thorough critique of McKeown’s research came from Simon Szreter in a 1988 article. Szreter claimed that the thesis suffered from conceptual inaccuracy, especially with respect to the catchall term “rising standards of living,” which conflated a heterogeneous group of phenomena, some of them related to economic changes and others to social reforms. More damning, Szreter conducted a new analysis of McKeown’s own data on mortality trends in the 19th century and found that McKeown had misinterpreted the death records, confusing tuberculosis, bronchitis, and pneumonia. This misreading led to, among other errors, an incorrect description of the timing of the decline in tuberculosis mortality and an underestimation of deaths from bronchitis and pneumonia, which Szreter asserted played a more prominent role in overall mortality than McKeown had allowed. In Szreter’s new interpretation of the data, public health measures such as clean water and milk supplies assumed greater importance, while changing social conditions, to which McKeown had attributed beneficial effects such as improvements in nutrition, were in fact a detrimental influence, resulting in, for example, overcrowded and poorly constructed housing resulting from rapid urbanization. Finally, Szreter turned his attention to what he viewed as a crucial weakness that underlay McKeown’s research: that McKeown had allowed his a priori assumptions about the limited value of medical intervention and the need for social reform to predetermine his analytic categories, thus biasing his interpretation of evidence. Szreter concluded his critique with a biographical sketch of McKeown, examining the ideology that influenced the research. Inquiries into all of the variables continues, stimulated in large measure by McKeown’s iconoclastic interpretation. [30-32] In particular, many historians of public health and medicine have used McKeown’s ideas as a starting point to reexamine and reassert the value of various sanitary reforms, which he had discredited. For example, Gretchen Condran, acknowledging the McKeown thesis, examined the influence in Philadelphia of public health and sanitary measures such as improvements in the milk and water supplies and in child care practices and concluded that “intervention as against economic growth was a major source of the decline in mortality in American cities.”(p121) A 1991 volume of essays included several that explicitly and implicitly responded to the McKeown thesis, examining topics such as the declines of cholera and tuberculosis and the effects of social and sanitary factors such as improved housing conditions and pasteurization. More recently, Amy Fairchild and Gerald Oppenheimer made the case that McKeown had insufficiently explored the effect on tuberculosis rates of 2 public health interventions, quarantine of infected people and eradication of the bovine form of the illness (responsible for transmission through contaminated milk). The ongoing interest in McKeown’s ideas, not only among historians but also among policymakers addressing contemporary issues, is striking. What accounts for his work’s remarkable durability? Why has the influence of the McKeown thesis persisted even after its conclusions were discredited? In part, his writing continues to generate responses because many scholars believe that although McKeown’s analysis was flawed, his underlying ideas regarding the effects of poverty and economic well-being on health were essentially correct. More broadly, McKeown’s influence has continued to be felt because his research posed a fundamental question that has lost none of its relevance in the decades since he began writing in the post–World War II era: Are public health ends better served by narrow interventions focused at the level of the individual or the community, or by broad measures to redistribute the social, political, and economic resources that exert such a profound influence on health status at the population level? A large and growing body of research suggesting that broad social conditions must be addressed in order to effect meaningful and long-term improvements in the health of populations has validated the underlying premise of McKeown’s inquiries. [36-39] This research challenges public health professionals to view targeted interventions and social change, not as dichotomous or opposing choices, but rather as essential complements to each other, and to find ways to integrate technical preventive and curative measures with more broad-based efforts to improve all of the conditions in which people live. These concepts, which lie at the heart of the McKeown thesis, account in large measure for its continuing resonance in the field of public health. McKeown’s work, empirically flawed though it may have been, placed before a wide audience a set of practical and ethical challenges with which policymakers in the United States and internationally will continue to grapple in the coming decades. Caldwell JC. Demography and social science. Popul Stud. 1996;50:314. McKeown T, Brown RG. Medical evidence related to English population changes in the eighteenth century. Popul Stud. 1955;9:119–141. McKeown T, Record RG. Reasons for the decline of mortality in England and Wales during the nineteenth century. Popul Stud. 1962;16:94–122. McKeown T, Brown RG, Record RG. An interpretation of the modern rise of population in Europe. Popul Stud. 1972;26:345–382. McKeown T, Record RG, Turner RD. An interpretation of the decline of mortality in England and Wales during the twentieth century. Popul Stud.1975;29:391–422. 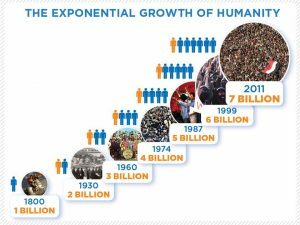 McKeown T. The Modern Rise of Population. New York, NY: Academic Press; 1976. McKeown T. The Role of Medicine: Dream, Mirage, or Nemesis? London, England: Nuffield Provincial Hospitals Trust; 1976. Razzell PE. Population change in eighteenth-century England: a reinterpretation. Econ Hist Rev. 1965;18:312–332. Sigsworth E. A provincial hospital in the eighteenth and early nineteenth century. Coll Gen Pract Yorkshire Faculty J. 1966:24–31. Habakkuk HJ. Population Growth and Economic Development Since 1750.New York, NY: Humanities Press; 1971. Starr P. The Social Transformation of American Medicine. New York, NY: Basic Books; 1982. Kunitz S. The personal physician and mortality decline. In: Schofield R, Reher DS, Bideau A, eds. The Decline of Mortality in Europe. Oxford, England: Clarendon Press; 1991:248–262. Illich I. Medical Nemesis: The Expropriation of Health. New York, NY: Pantheon Books; 1976. Health Policy Advisory Center. The American Health Empire: Power, Profits and Politics. New York, NY: Random House; 1970. Fuchs V. Who Shall Live? Health, Economics, and Social Choice. New York, NY: Basic Books; 1974. Brown ER. Rockefeller Medicine Men: Medicine & Capitalism in America.Berkeley: University of California Press; 1979. Lalonde M. A New Perspective on the Health of Canadians. Ottawa: Canada Dept of National Health and Welfare; 1974. Saito O. Historical demography: achievements and prospects. Popul Stud.1996;50:537–538. Hollingsworth TH. A demographic study of the British ducal families. Popul Stud. 1964;18(suppl):1–35. Wrigley EA. Family limitation in pre-industrial England. Econ Hist Rev.1966;19:82–109. Wrigley EA, Schofield R. The Population History of England 1541–1871: A Reconstruction. Cambridge, England: Cambridge University Press; 1981. Szreter S. The importance of social intervention in Britain’s mortality decline c. 1850-1914: a reinterpretation of the role of public health. Soc Hist Med. 1988;1:1–38. 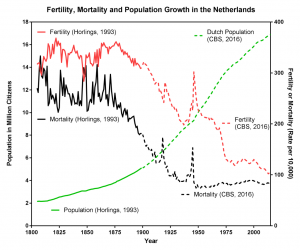 Johansson SR. Food for thought: rhetoric and reality in modern mortality history. Hist Methods. 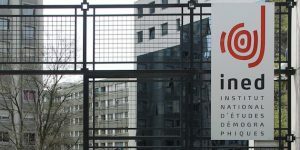 1994;27:101–126. Condran G. Declining mortality in the United States in the late nineteenth and early twentieth centuries. Annales de Démographie Historique. 1987:119–140. Caldwell JC. Health transition: the cultural, social and behavioral determinants of health in the Third World. Soc Sci Med. 1993;36:125–135. Wilkinson RG. Unhealthy Societies: The Afflictions of Inequality. New York, NY: Routledge; 1996. Schofield R, Reher D, Bideau A, eds. The Decline of Mortality in Europe.Oxford, England: Clarendon Press; 1991. 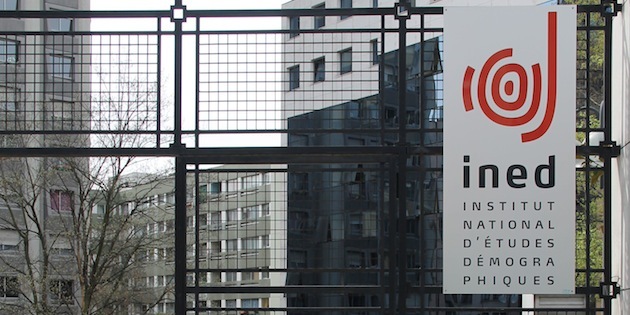 Steinhauer J. UN unites to combat AIDS but splits over how to do it. New York Times. June 27, 2001:A1. Link BG, Phelan J. Social conditions as fundamental causes of disease. J Health Soc Behav. 1995;Spec No.:80–94. Adler N, Boyce T, Chesney MA. Socioeconomic status and health: the challenge of the gradient. Am Psychol. 1994;49:15–24. Pappas G, Queen S, Hadden W, et al. The increasing disparity in mortality between socioeconomic groups in the United States, 1960 and 1986. N Engl J Med. 1993;329:103–109. Marmot MG, Smith GD, Stansfield S, et al. Health inequalities among British civil servants: the Whitehall II Study. Lancet. 1991;337:1387–1393. Originally published by the American Journal of Public Health 92:5 (May 2002, 725-729), republished by the United States National Library of Medicine, National Institutes of Health, public domain. This entry was posted in Health, Health/Medicine, History. Bookmark the permalink.